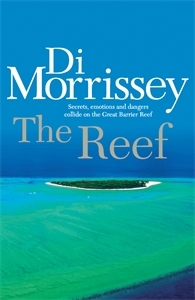 Beneath the calm aqua waters of the Great Barrier Reef, there is an on-going war of survival. It is a war of survival among the creatures, the life-forms and the coral that make up the reef. It is so threatened it could disappear within 30 years. Above the reef on a small coral cay - Branch Island - two communities come together in an uneasy alliance: a tourist resort and a scientific research station. Ambitious Blair Towse is appointed assistant manager of the resort with his university graduate wife Jennifer, who finds herself isolated, lonely and forced to confront her childhood fear of the sea. On the surface, the island is all you could wish for: a lush resort, a naturalist's dream, a diver's delight. But Jennifer begins to discover the island holds secrets and dangers. She befriends an old beachcomber who introduces her to the small band of marine scientists and students at the research station. When world famous oceanographer Maria Belitas arrives, Jennifer learns to see the world - above and below the sea - very differently. Maria teaches her to come to terms with the phobias of her widowed mother as well as her own disintegrating marriage. But no one - not even investigative journalist Tony Adams - could have prepared Jennifer for the shocking revelations of what is really happening on Branch Island. Or the dramatic confrontation between her mother and her mentor when a family secret rocks and changes Jennifer's life.